Here is the first of the series. All we are doing here is trying to get you started using the recording feature. Mark, I am not technical. I have one and I am attempting to insert effects into v-tracks but it doesn’t work. I have all the tracks down (except for the drums, which I will have a live person do) I would like to insert effects into each individual v-track. What video should I watch? I may not be able to supply you with everything you need, but we will certainly try. If you go to my channel, I currently have 14 videos on the Zoom HD16. Here is the link: https://www.youtube.com/user/mdroute249?feature=mhee. 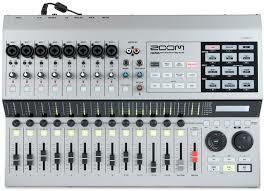 Perhaps the video on using your Zoom to operate your DAW software. If that doesn’t help you with your mixing, perhaps you will need to define what type of mixing you want to do. I believe you can record with your DAW programs (at least with Pro Tools) but you will need a digital audio interface in order to get a good quality sound for your computer. You may want to look into that. As far as your out of tune musicians, Zoom has what is called “Pitch Fix”. I haven’t done a video on it, but if you would need some assistance, I can do a video on it, but it may take me a week or two to get to it. Just let me know. Hopefully this helps and as always, you can ask and know that somebody on the other end is listening. Excellent video, I just recently bought a used Hd16 and I love it. I’m still figuring stuff out but I have finished my first 10 song cd and I’m very pleased with how it turned out. Thanks for your video’s.